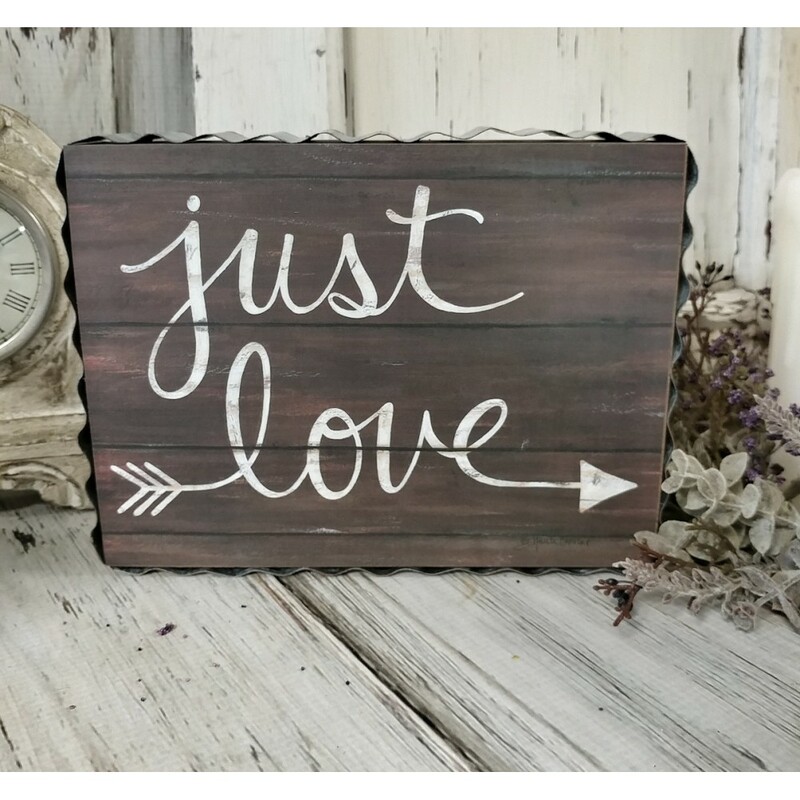 Perfect for accenting your home for Valentines season or all year round, this wooden box sign is framed in a corrugated metal border. It is wood with a printed image that is adhered to the front for to mimic the design and writing. 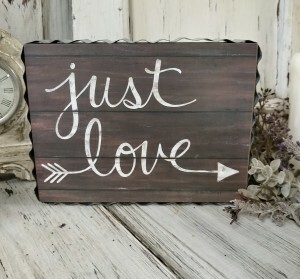 The sign features the words, "Just Love," with an arrow design branching off to each side. Sign includes a sawtooth hanger or can also be displayed tabletop. Measures 8" wide by 6" high and 1½" deep.